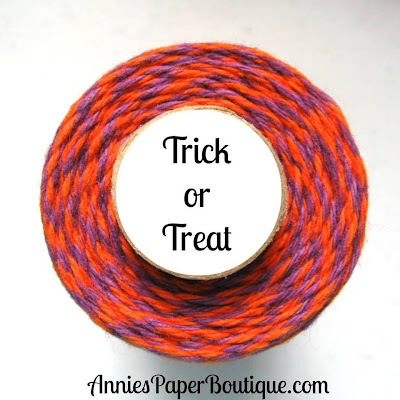 It's my turn over at Twine It Up! with Trendy Twine today. But you can only see a sneak here. I really hope you take the time to head over there and see my full project. 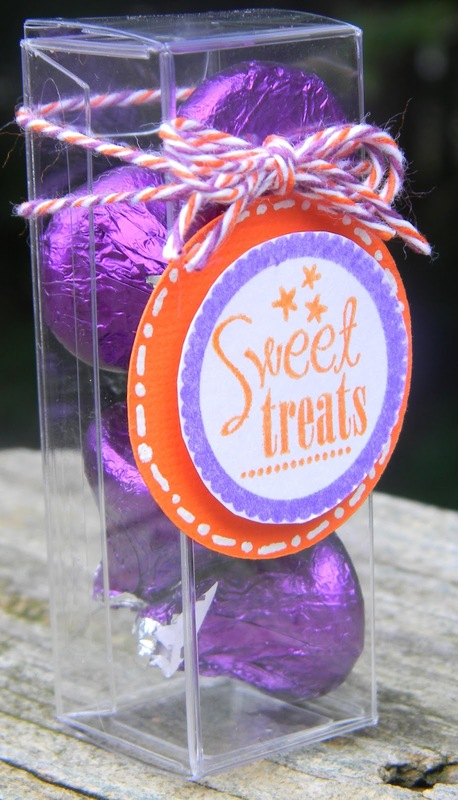 You can still play along with the challenge this month until Friday night. Hope you can find some time to play along! Hi everyone! 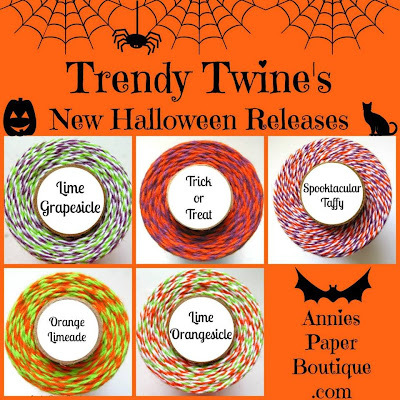 Today we have some fun new Halloween Trendy Twine to show you today!! There are 5 new colors, but our main color for today is Trick or Treat. 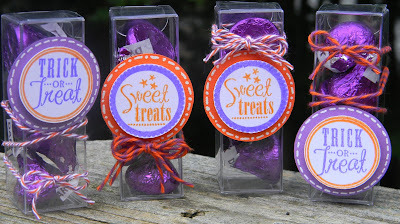 I LOVE them all and used Trick or Treat and Spooktacular on my treat boxes. The boxes come from the store here--there are several sizes and shapes that are perfect for Halloween Treats. Make sure to add some when you order your twine :) The circles were cut from my Cricut Art Philsohpy Cartridge and the stamps are Close to My Heart. 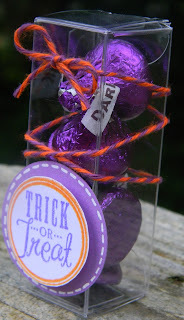 I did go out to buy matching candy and am really surprised they didn't have any Halloween candy out yet. But I bet it will be out soon! Hi everyone! 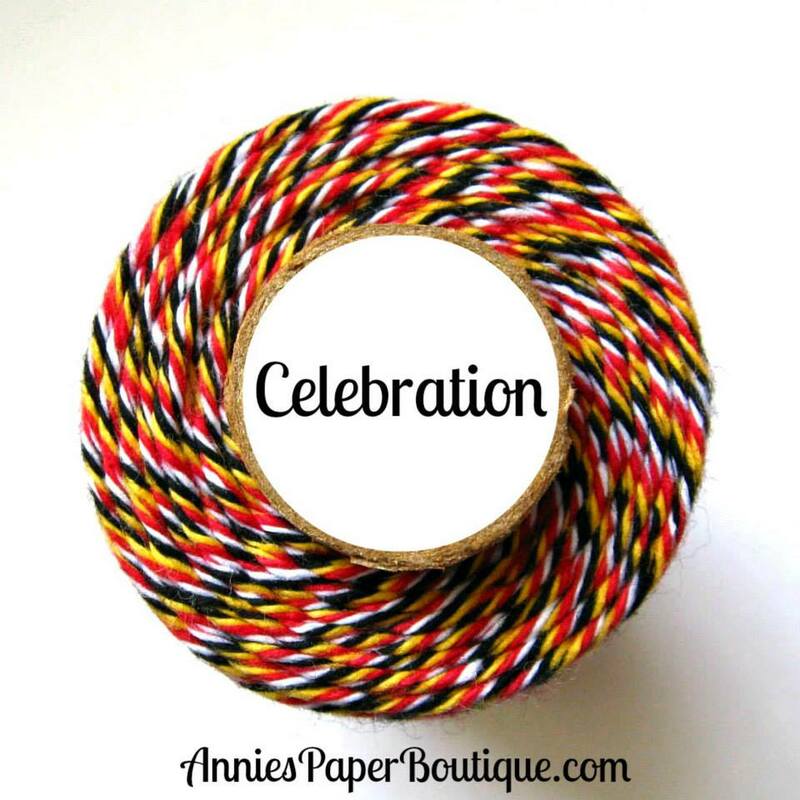 It's a super fun day over at Twine It Up! 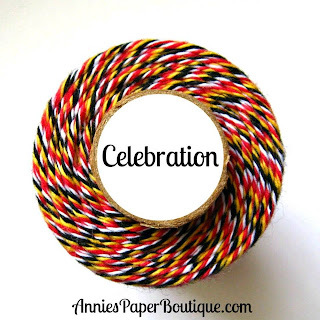 with Trendy Twine--color number 50 is here and it's a Celebration! We all have a project to show you today, so be sure to head over to the Trendy Blog so you don't miss anyone's. Plus, there are 3 other new colors out today too, so be sure to check out the store too!! 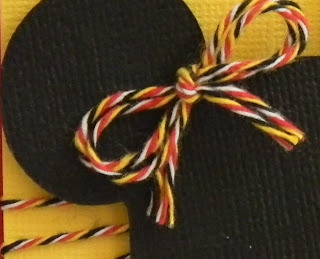 I'm not sure if you noticed, but this twine goes along with anything Disney :), so we all have Disney themed projects today. I used the 2 x 2 clear square boxes that you can buy along with your twine :) These are awesome boxes--perfect for some quick treats/gifts. 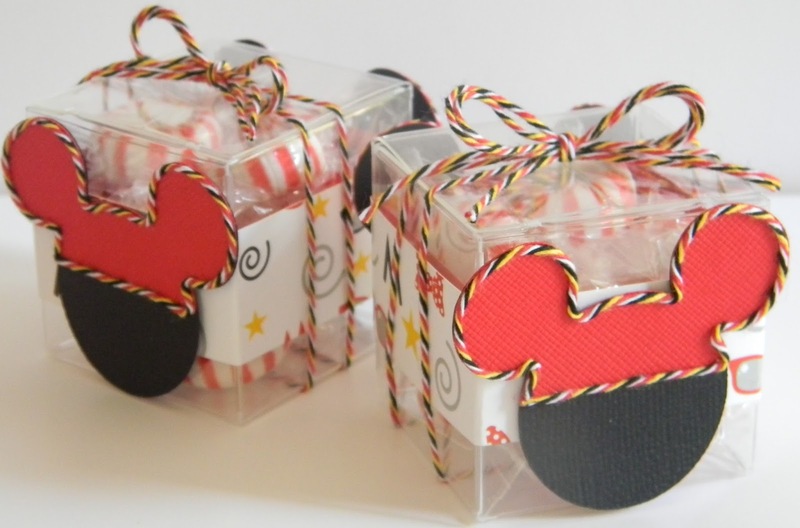 Then I filled them with some peppermints and wrapped a 1 inch wide piece of Disney paper around the box. 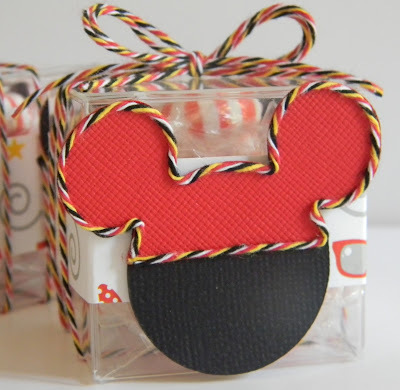 I cut out the Mickey's from my Mickey Font Disney cartridge (2 inches) and used my Celebration twine to outline the Mickey ears. Finally, I tied some twine around the box and glue dotted my Mickey's on.